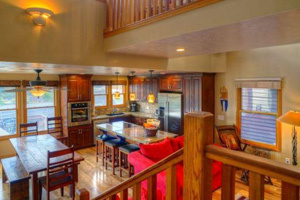 Stunning Ski in and out at Park City Mountain - SLEEPS 4 -steps to lifts, pool, gym, hot tub! 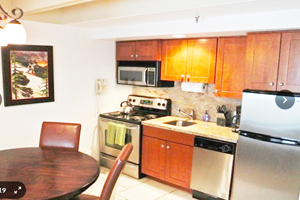 -one bedroom, one bath, ave nightly is $291 -- Book Instantly! 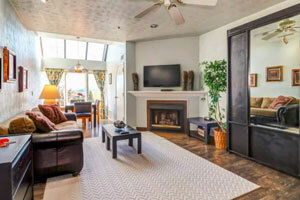 VRBO 1103347 - You'll find style, comfort, and convenience at this Park City studio condo with a shared swimming pool, hot tub, and fitness center, and unbeatable access to the lifts a few steps away. Want to spend more time enjoying your vacation and less energy worrying about the details? Vacasa has partnered with KEY in Park City, where a local concierge can handle anything from stocking the fridge with groceries to hiring a babysitter to bringing in a Christmas tree before you arrive. After reserving your stay, you'll receive details about how to take advantage of this service! 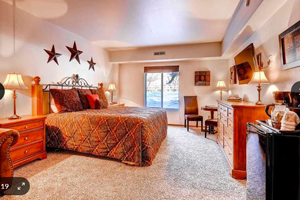 Enviably located in the Lodges at the Mountain at Park City Mountain Resort, this single-level studio is an ideal escape for skiers, snowboarders, mountain bikers, and hikers in every season. You'll be adjacent to shops, restaurants, and the Breeze Ice Rink in the base area, just steps from the Payday Express lift, and one mile south of the Park City Golf Club. Stunning Ski in and out at Park City Mountain - SLEEPS 4 -steps to lifts, pool, gym, hot tub! -one bedroom, one bath, save nightly is $211 -- Book it! 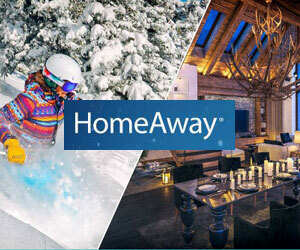 homeaway 252162 - This luxury condo puts you in the center of it all. It is located in the heart of Park City's Resort Center - right on the slopes at Park City Mountain. Walk out the building and you are on the slope. Your choice of four chairlifts are right there. Ski School, Lift Ticket Office, Equipment Rentals & Base Lodge are all steps away. The resort features a large heated indoor/outdoor pool, two hot tubs, fitness center, sauna, front desk & lobby area complete with fireplace. Underground parking is available as is a locked ski storage area. For apres ski there are shops, restaurants, and spas steps away in the Resort Center. As you are right at Park City Mountain Resort - the hub for free city shuttle buses are right there giving you quick and easy access to Main Street, Deer Valley, The Canyons, and points around town. True ski in and ski out for Park City! - SLEEPS 7 -pools, high speed internet-2 bedroom, 2 baths, ave nightly is $225 -- Book it! vrbo 502287 - 2 bed 2 bath ski in ski out condo. Beautiful Views. Fantastic Central Location. 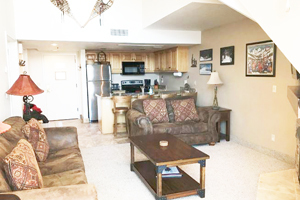 Luxury 2-bed, 2-bath condominium, in Snowflower complex at Park City Mountain Resort, located just steps away from the Eagle and First Time trails. Excellent presentation. Spacious master suite has king-size bed with shower and bath; second bedroom has queen bed with a twin XL bunk. 2nd bathroom, with shower and separate, deep hot tub! New queen-size sofabed in living room. Fully equipped, modern kitchen to cater for 8, with breakfast bar and separate dining table. Living room with cozy gas fireplace, internet enabled cable TV with sound system, free high-speed wi-fi internet, ipod docking system. Assorted puzzles, games & cards complete a cozy night in after a long day on the mountain! Balcony with views through the trees of Uinta mountains to East. (facing away from ski runs, ensures a quiet night without disturbance of snow-making equipment and groomers!) Boot & equipment closet in condo. Private lockable ski locker, with tuning bench for safe storage of skis & boards. Fully equipped modern fitness room is in next building and there are two heated outdoor pools. Abode On Woodside - SLEEPS 7 -3 bedrooms - 3 baths, from $275/nt -- Book it! Trip Advisor #FKN2161497 - Fantastic location in Park City's coveted Old Town area. Ski access is approximately 200 feet from your front door, and Main Street is a few short downhill steps. The home offers three bedroom suites, bright kitchen, informal breakfast area, family room, laundry room, and deck with hot tub. Great views of the Old Town area, large bright windows, newly remodeled master suite and vaulted ceilings contribute to the over-all appeal of this fantastic family home. Additional amenities include: childcare, ski access, apres ski/happy hour bartender, car service, personalized excursions, main street access, personal chef, vaulted ceilings, ski valet, personal concierge, laundry service/dry cleaning. 2BR 3BA Ski in Ski out Condo at Park City Mountain Great Location!! - SLEEPS 8 -pool, sauna, hot tub-2 bedroom, 3 baths, ave nightly is $157 -- Book it! 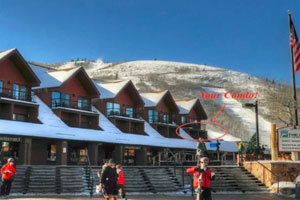 vrbo 847014 - This 2 bedroom, 3bath condo at the base of Park City is located steps from the lifts and resort plaza. 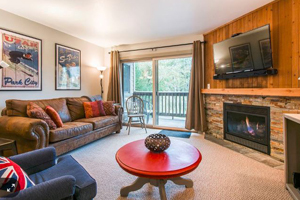 This is an independently owned, updated condo in the Lodge at Mountain Village. We can accommodate up to 8 guests with king and queen beds and 2 sleeper sofas. Each sleeping area has a full bath for convenience and privacy. The fully equipped kitchen and supplied linens should allow for a comfortable and easy vacation. The unit features flat-screen TV's in the living area and both bedrooms. Down the hall are laundry, ice machine and a hot tub for a post-ski soak. Also a heated indoor/outdoor swimming pool, sauna, additional hot tubs and fitness center on-site. Unit comes with wireless internet and one covered parking space. The convenience of this location allows you to come in off the slopes for lunch either in the unit or the several dining options close by. You also have the convenience of several ski rental shops right outside the door. This unit is also right on the free Park City bus line to allow you to check out Main Street's shopping and dining, Deer Valley, the Canyons, Olympic Park and the rest Park City has to offer! Perfect condo for fall mountain biking winter skiing - SLEEPS 10-pool, sauna, fitness room-2 bedroom, 2 1/2 baths, ave nightly is $200 -- Book it! vrbo 374526 -The Lodge’s ski in/ski out location is perfect for returning for lunch or taking a mid day break with the kids, or falling into when you’ve skied 7 hours straight without anything more than a nature break and power-bar.Our spacious 2 bedroom condo has a full size, stocked kitchen, 2 private bedrooms (King in the master, Queen and bunk beds upstairs) and 2 pull out sofa sleepers (one in a semi-private nook). Three bathrooms allow for privacy upstairs and down. We have the convenience of private laundry in the unit (a must with kids). Our condo is located on the top floor, minimizing noise, and providing plenty of natural light. Park City, Utah By Owner - Our Blog! 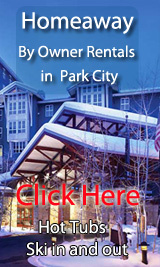 Special Offers on By Owner Rentals in Park City, Utah! Find your own ski in and out by owner rental in and near Park City-click on this link!